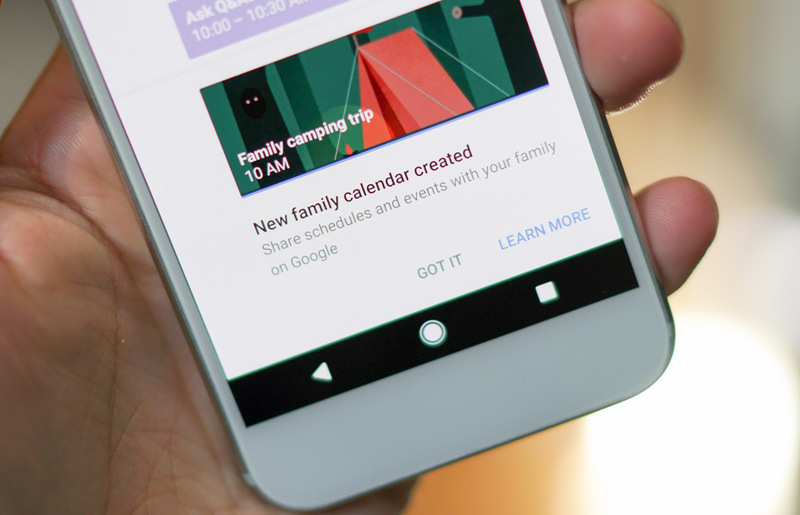 Shortly after Google I/O, the company announced additional Family library settings that would begin rolling out through Calendar, Keep, and of course, Photos. Over the weekend the Google Family Calendar and sharing of notes through Google Keep showed up for most of us with Family Libraries setup and works without much effort. For those not familiar, a Google Family library began as a way to share media (Play Music, Play Movies subscriptions and purchases) and payment accounts, but has now become a much broader feature for Google users. Not only will you be able to share a family calendar with everyone, you’ll be able to share notes easier through Keep, and eventually, turn Photos into an autosharing gallery beast. With Google Family Calendar, the new calendar will simply be added to your Calendar if you have a family library setup. You’ll find it as a new calendar under your Gmail address that is a part of the family account, as well as an option for adding new events to. If you don’t want this to sync or be in use, you can basically turn it off in Calendar settings. As for Google Keep, the integration with family accounts is found as you create notes and then add Collaborators. If working, you’ll see your family group as a collaborator that can be added. From there, those notes will be available to anyone on your family account. To learn more or for additional setup tricks, check out the links below.